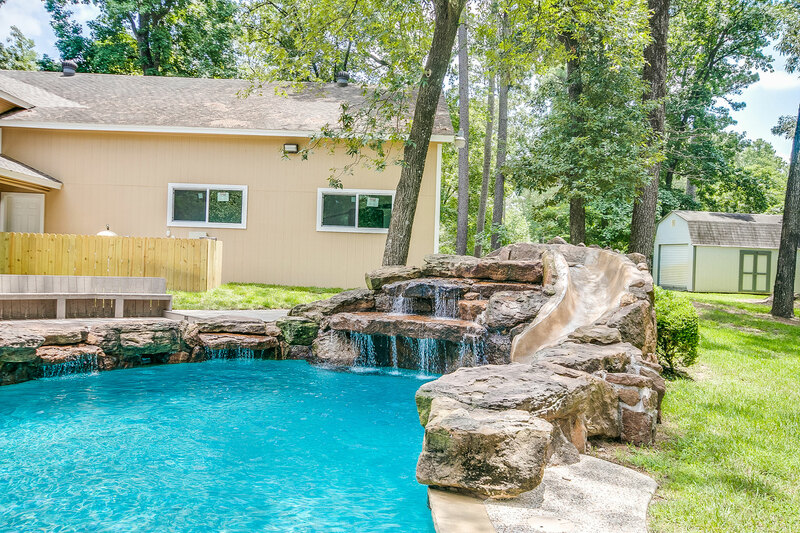 Style: Free FormYoung family that does lots of entertaining wanted a design that provided for family fun, while incorporating features for large scale entertainment with it all fitting to their building architecture and large natural setting. 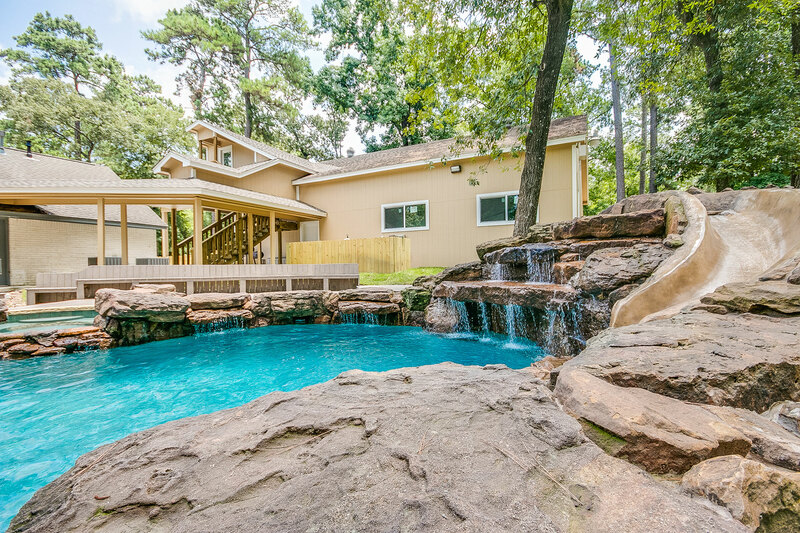 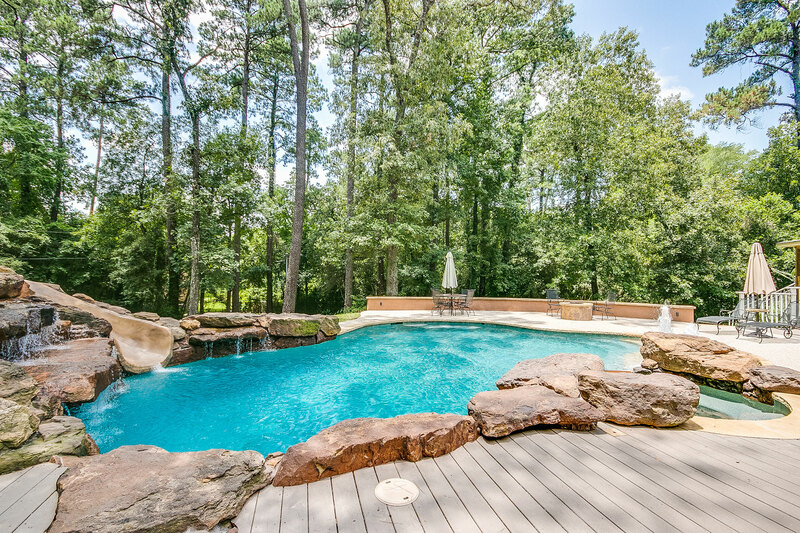 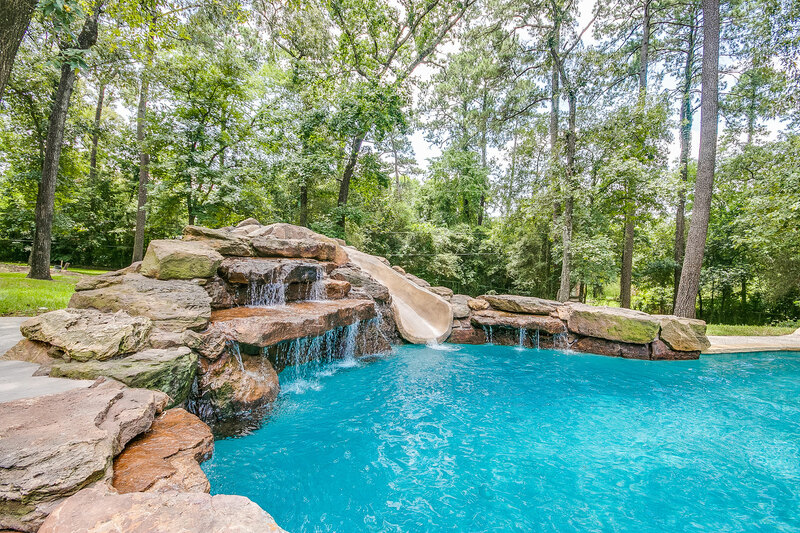 The result, extensive rock / water features that incorporate a grotto (drink holders tucked inside), large slide and a sun shelf entry with variable fountains. 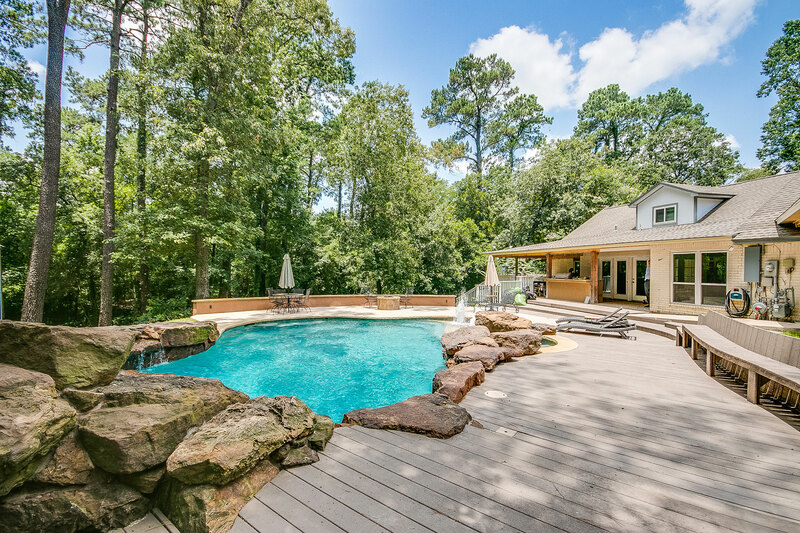 The deck incorporates wood, extending from the home decking, into a pea gravel area for the fire pit, seating and seat level wall. 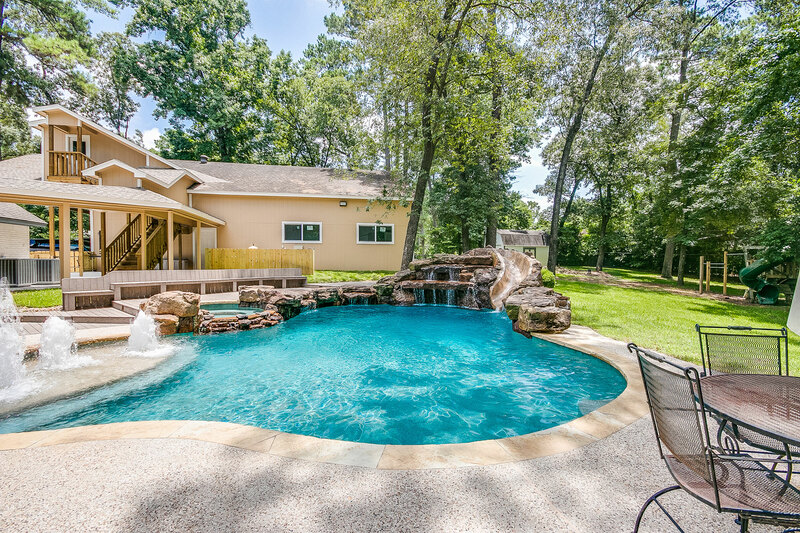 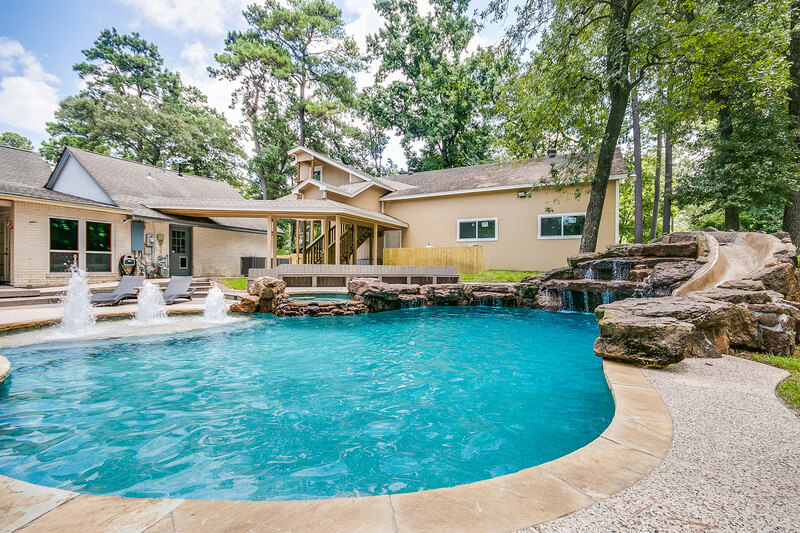 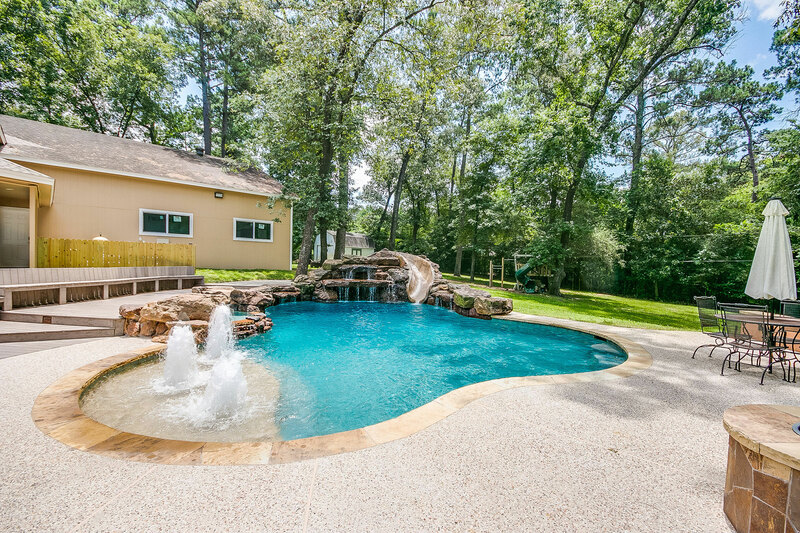 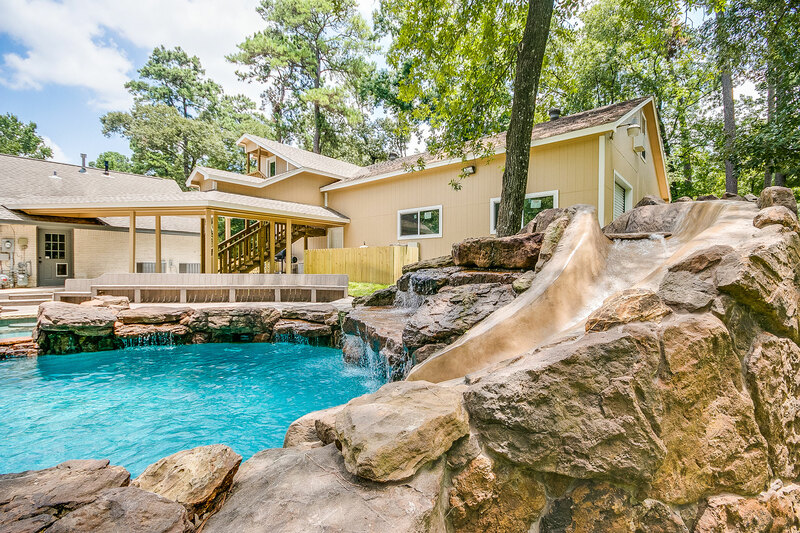 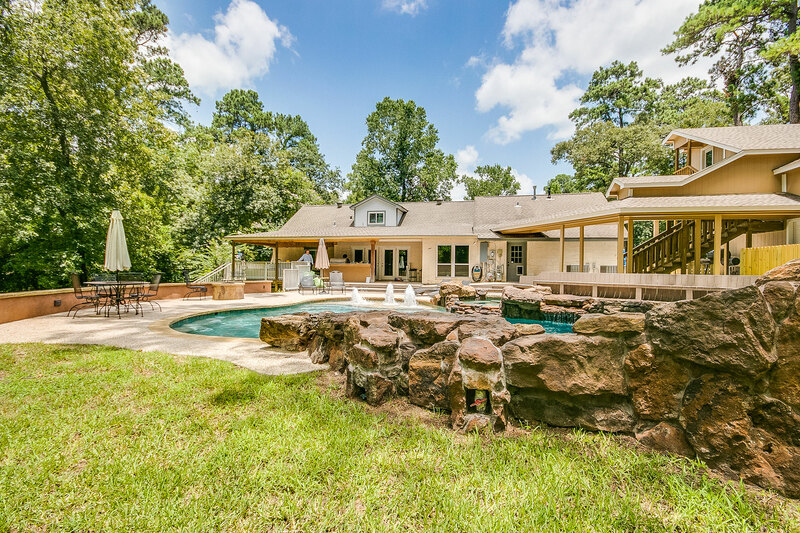 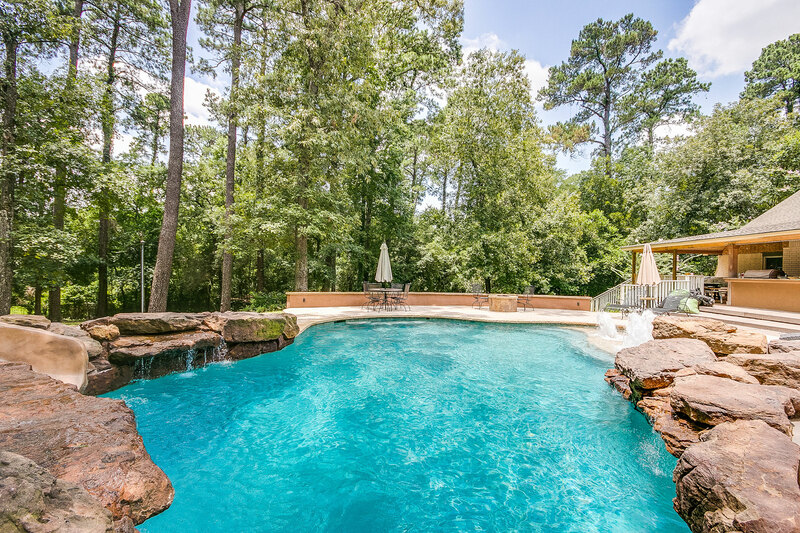 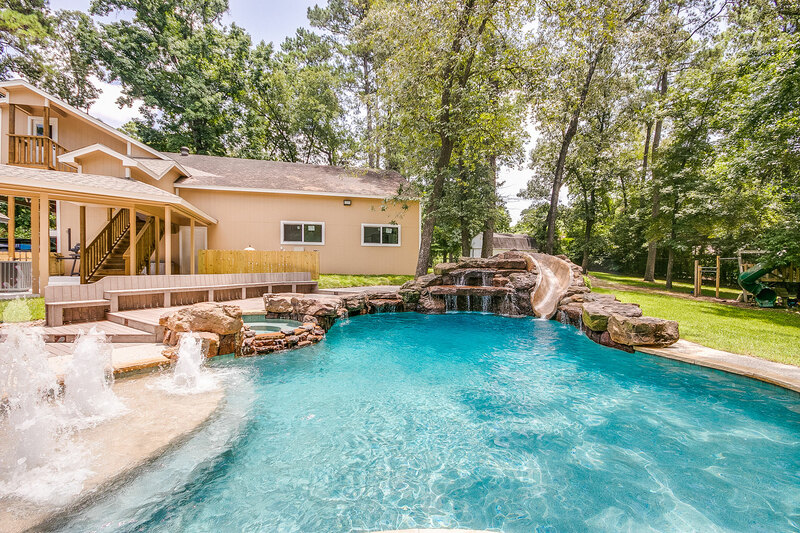 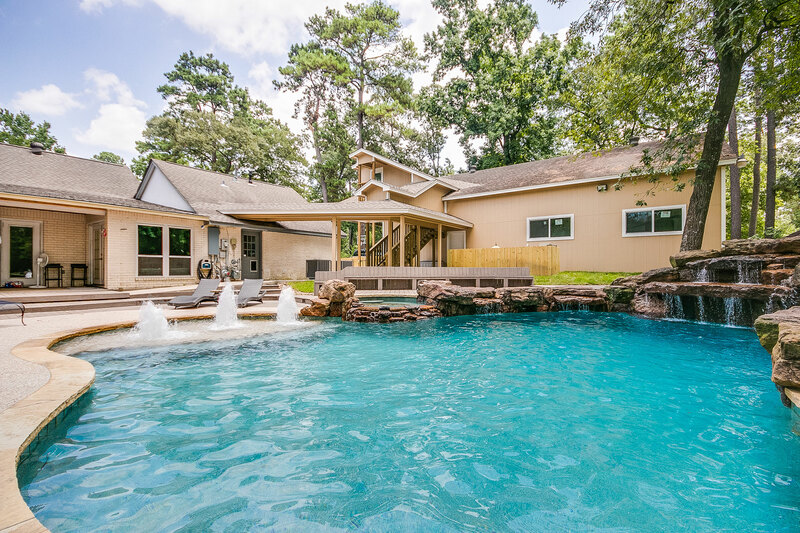 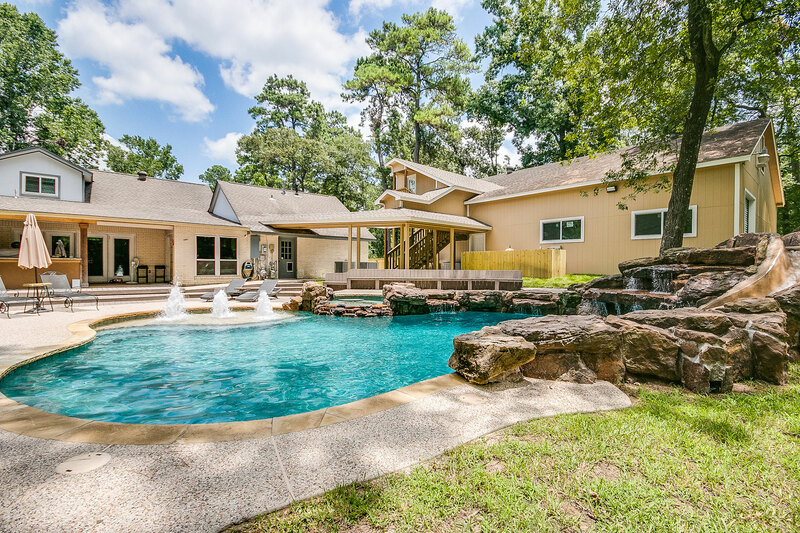 Extensive engineering was done to ensure adequate drainage and a Flamingo innovation was accepted by the City of Houston in the design as a standard for Houston pools!